Virat Kohli, the current best batsman in the world, has become the first Indian batsman to score ODI centuries in three consecutive innings. With his 107 against the Windies in Pune in the third ODI on Saturday, Virat Kohli became the 10th man to score three centuries on the bounce in ODI cricket. It’s a big achievement, needless to say, and appropriate for the top batsman in the ICC Men’s ODI Player Rankings. Sri Lanka’s Kumar Sangakkara holds the record with four ODI tons in a row in 2015, followed by Zaheer Abbas (Pakistan), Saeed Anwar (Pakistan), Herschelle Gibbs (South Africa), AB de Villiers (South Africa), Quinton de Kock (South Africa), Ross Taylor (New Zealand), Babar Azam (Pakistan), Jonny Bairstow (England) and Kohli (2018). Kohli started the series with an innings of 140 in Guwahati, and followed it up with 157 not out in Visakhapatnam in the second ODI, before becoming the first Indian to score three in a row in the third match, which India lost by 43 runs. Remarkably, although the feat has been achieved only 10 times in 4,062 fixtures over the years, it’s happened twice in 2018 itself, with Bairstow scoring his hat-trick earlier this year. 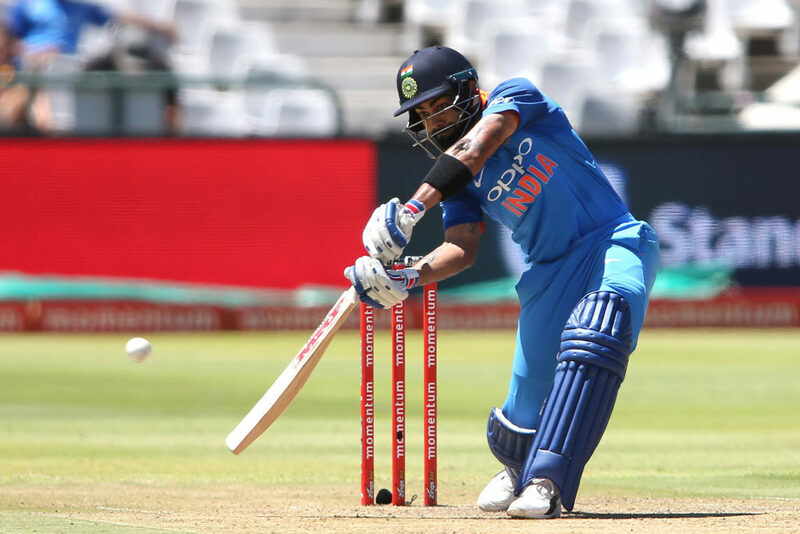 Earlier in the series against the Windies, Kohli also became the quickest player to score 10,000 runs in ODI cricket, getting to the mark in just 205 innings.